Four year-old Nicconi gelding Akasaki was cherry ripe at his third run back from a spell and scored a commanding four length win in the Benchmark 75 event over 1000 metres for Scone trainer Stephen Jones. It was his sixth win from 19 starts, Akasaki now boasting over $160,000 in prizemoney. 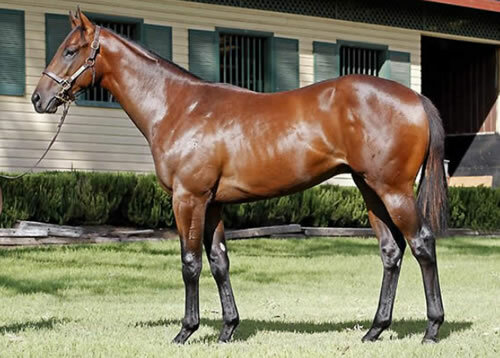 A $48,000 Inglis Classic purchase from the Turangga Farm draft, Akasaki is one of two winners from Very Bright, a General Nediym half-sister to Group I placed Sctratch Me Lucky from the family of Group winners Red Colossus and Nediym’s Glow. In the very next race, six year-old Zizou gelding Ever So Natural saluted for the Tracey Bartley stable over 1200 metres. With five wins and ten placings from 27 starts, Ever So Natural has won over $180,000 in prizemoney. One of four winners from Solysombra, all of them by Zizou, Ever So Natural comes from the family of dual Group I winner Shame.